The Cambridge Folk Festival's prestigious reputation for quality music in intimate surroundings means tickets always sell out very quickly. The music is much more than traditional folk.  The festival will be taking place from Thursday 26th until Sunday 29th July. Clannad, Joan Armatrading, The Proclaimers, Loreena McKennitt, June Tabor & Oysterband, Roy Harper, Billy Bragg celebrates Woody Guthrie's 100th Birthday, The Unthanks with Brighouse & Rastrick Brass Band, James Vincent McMorrow, Nanci Griffith, Keb Mo Band, Steve Tilston, The Destroyers, Phantom Limb, Naomi Bedford, Steamchicken, Polly Paulusma, Rachel Sermanni, Belinda O'Hooley & Heidi Tidow, Pilgrims Way, The Young'uns, Skinny Lister, Liz Green, King Charles, Moulettes, Seth Lakeman, Nic Jones, Lau, Gretchen Peters, Karine Polwart, Treacherous Orchestra, Angelique Kidjo, Raghu Dixit, Dry The River, Benjamin Francis Leftwich, The Staves, Pine Leaf Boys, Jim Moray's Silent Ceilidh, Tim Edey & Brendan Power, Brian McNeill, Megson, Fay Hield & The Hurricane Party, Ross Ainslie & Jarlath Henderson Band, ahab, Habadekuk, Blackbeard's Tea Party, and more. For the line-up details and day splits, as available, click here. There are four stages of music. More acts will be announced soon. Tickets are priced at £120 for a full adult festival pass (not including camping), day tickets are priced as follows - Thursday £19 (Sold out), Friday £41; Saturday £52 (Sold out); and Sunday £52. Children aged 5-13 years tickets is priced at £35, and children aged 4 and under can attend for free. Camping is available for full festival ticket holders only, priced at £36-£52 per 2-3 berth tent.